The iRobot Scooba is a mopping robot. I’ve been curious about the iRobot Scooba line since it was first introduced. But they tended to get bad reviews on Amazon . Of course, if you go to that Amazon link, the top three reviews are happy ones, but if you look at some of the ones on the side, there are reviews that’ll make a person want to avoid the Scoobas, and they worked on me. So this year iRobot introduced the Scooba 230, which is a smaller version of the old ones. The smaller size was a definite attraction for me, considering that the robot can fit behind your typical toilet. So how well does this new robot work? Let’s take a look. Here’s what is missing: 4 D cell batteries for the Virtual Walls. The Virtual Walls take 2 batteries each. I really prefer it when manufacturers include batteries, so I find this disappointing. 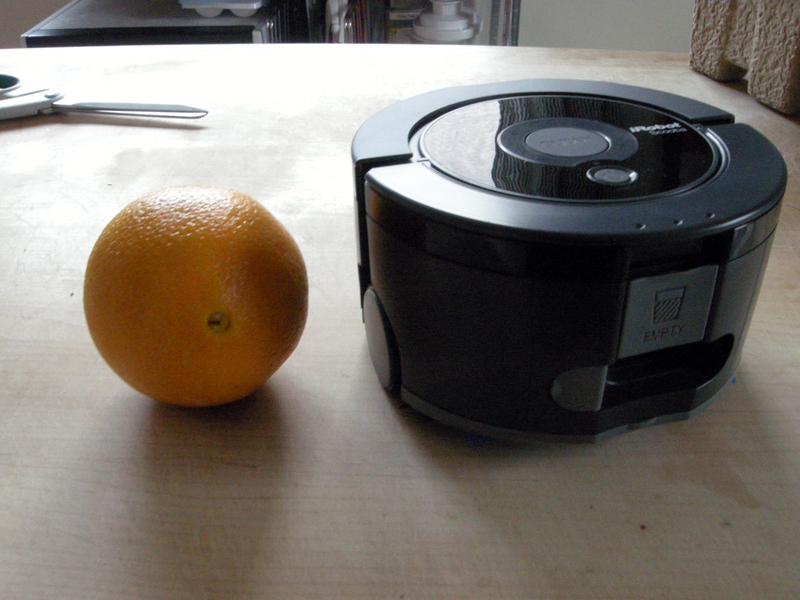 Here is the robot itself next to a navel orange. As you can see, the Scooba 230 is pretty small. It is 3.5 inches tall and 6.5 inches wide. The engineers at iRobot have packed a lot of things into this little package. 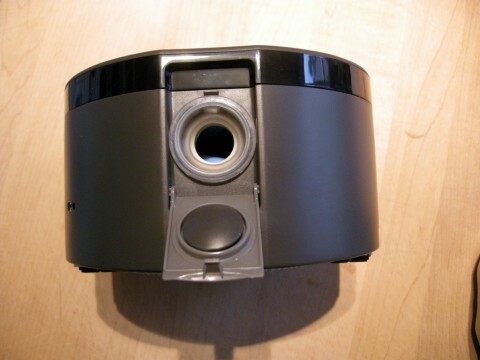 There is a port for filling the robot, a port for emptying, a recessed carrying handle, three cliff sensors, a wall-following sensor on the right side, a charging port, indicator lights and buttons. 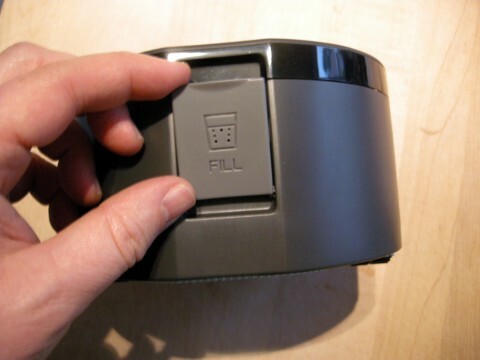 On top is a power and Clean button. Like the Roombas and older Scoobas, the Scooba 230 has a bumper on the front so that it knows when it runs into things. The bottom has wheels, brushes, and the squeegee for picking up the water while it works. The wheels are easy to pull off for cleaning. The light grey part of the undercarriage there is removable, so when the brushes and squeegee wear down, you can replace it. 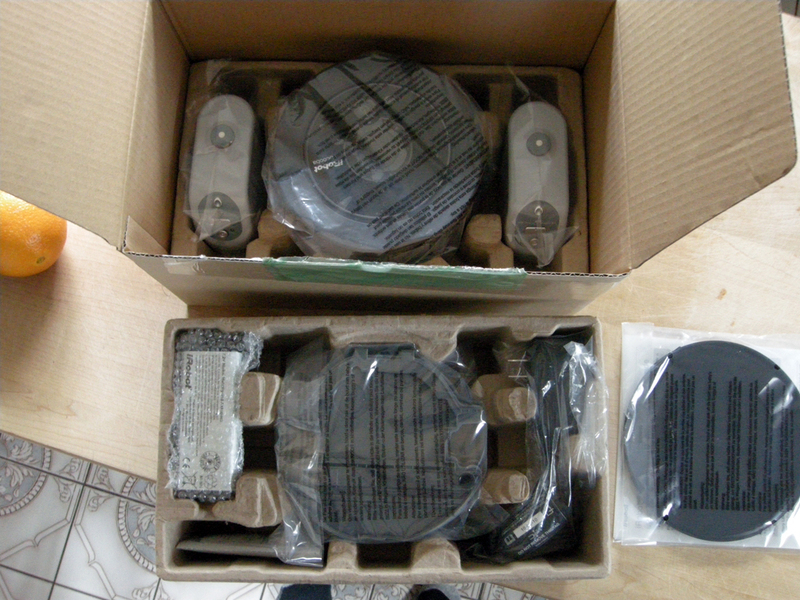 As mentioned above, the robot ships with 3 replacement bottom plates. You can also see the cliff sensors there on the bottom of the bumper. They’re recessed. Here is the door for filling the robot with water. This is kind of in an awkward place. It’s not a good idea to get the robot totally wet, so popping it under a running faucet made me kind of nervous. 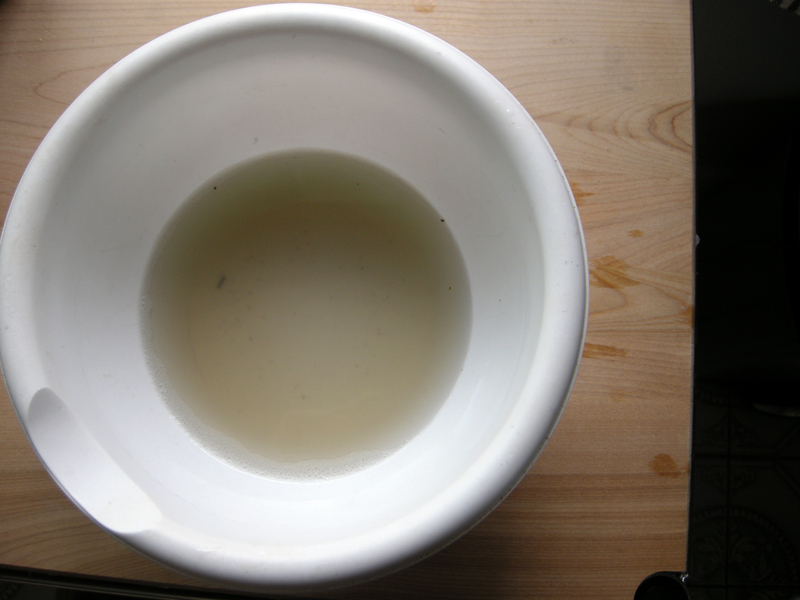 I ended up filling a measuring cup with warm water, and then filling the robot that way. When filling the robot (or emptying it, for that matter) both the fill port and the empty port need to be open, so you can’t put the robot down on a flat surface and fill it. One piece of good news is that the cleaning solution isn’t stinky. Sometimes cleaners can smell nasty or smell like obnoxious air freshener. The Natural Enzyme Formula has a rather mild, pleasant cleaner smell. And here it is in action. (Sorry about the camera shake on the film. I’m working to get some better equipment for making my movies. It’s actually pretty hard to make good product films.) We were pretty excited about the job the Scooba did on the bathroom. It got behind the toilet, which is a pain to clean manually. A person has to get down on their hands and knees to clean back there, so the Scooba 230 gets major points for this trick. Here is an example of what the dirty water from our Scooba looked like after cleaning one of our rooms. This is what it looked like after every time it cleaned a room. I felt kind of mixed emotions about this result. On one hand, you can tell that there is some dirt in there, and that’s definitely some dirt and grime that is no longer on your floor, which is a good thing. At the same time, it doesn’t really seem like as much as it should. Sadly, we have a lot more bad news to relate about this robot. Our Scooba had a lot of problems. For one thing, it left a lot of water on our floor. 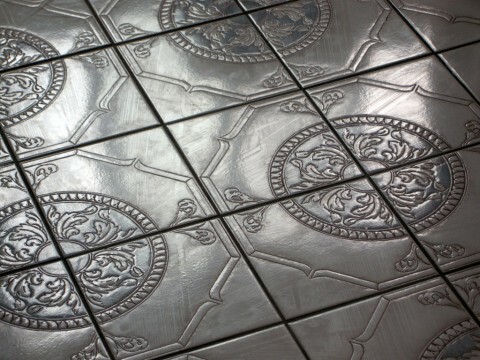 This is tile, so maybe it would do a better job on totally flat surfaces, but it seemed to leave a lot of water. Also, you have to sweep up before you use the Scooba. The Scooba will not pick up larger debris or hairs. Instead it kind of drags hairs around and leaves them stuck to the floor. Also, the Scooba’s size turns out to be a disadvantage when navigating a room. 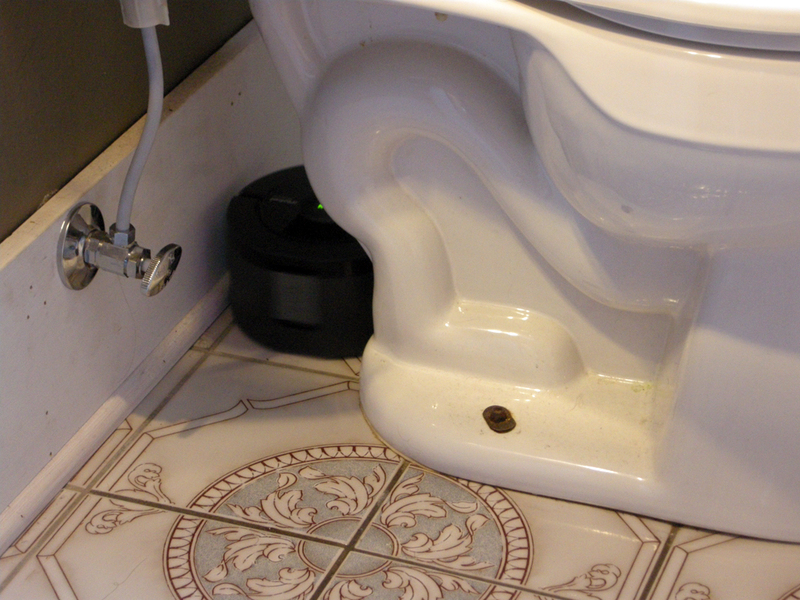 Both our kitchen and bathroom had a place where the Scooba would get stuck – the heating vent. The Scooba also had a lot of trouble with the Virtual Walls. The Scooba would approach the wall and either bounce off while still several feet away, or it would get kind of close and then get kind of “stuck” where it would turn again and again in a tight spot. I finally stopped using the Virtual Walls, which was kind of irksome, considering how useful they are when you’re using a robot to clean your floor. More problems: The battery runs out from cleaning one room with the Scooba, and takes a long time to charge. I didn’t test it, but ours takes at least five hours to charge. So really, you clean one room and then have to charge the robot overnight. 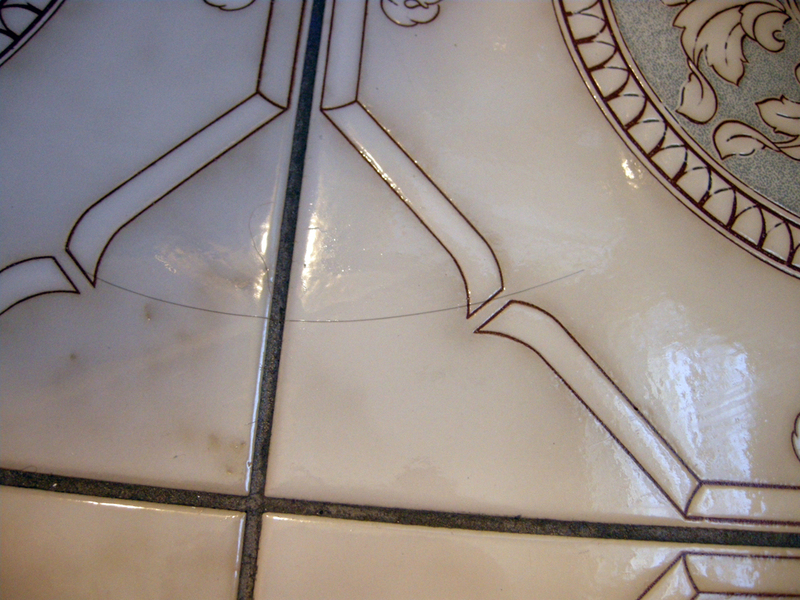 Our Scooba left streaks, and although it seemed to do a good job with the bathroom, it didn’t do a great job of cleaning the kitchen floor. Basically it left the entire kitchen floor with a kind of waxy, sticky feeling, and then to make matters worse, the robot stopped working. After it left the floor feeling sticky, I decided that I should give it another go with just water in the hopes that it would clean up more. So after waiting for the robot to charge up again, I refilled the robot and ran it a second time. Forty minutes later, I returned to find that although the robot had run all over the place, it hadn’t been dispensing water. So it hadn’t cleaned anything. Sadly, the battery was dead. So I charged the battery overnight, and then turned on the Scooba and ran out the door to go to work. Unfortunately, I left in such a rush that I didn’t notice that the Scooba never started moving. So when I can home from work, I found the robot sitting in the exact same place I left it, in the middle of a puddle. Since the Scooba left us with a sticky, gross floor, I broke down at this point and mopped our kitchen by hand. This is not what a person wants to be doing on a Wednesday night after having spent three hundred clams on a robot mop. It could be my imagination, but while I was mopping the floor myself, it seemed to take quite a bit of mopping to make our floor stop feeling sticky. I had to go over each area several times. I don’t know if that was because of the cleaning solution, or if we had something really sticky that the Scooba just spread around for us. Over the next couple of days I found that sometimes the wheels would start working again, but the water dispensing part wouldn’t work. Then later, it would all stop working. There doesn’t seem to be a rhyme or reason. The manual doesn’t have anything useful to say about what to do if your Scooba stops working. I tried some different ways of turning it on with the hopes that I could “reset” it. Also, I tried pulling the battery to see if that would make a difference. Neither strategy seemed to help. I have yet to call iRobot’s customer service about it, but will report back here when I do. In the meantime, I have to give the iRobot Scooba 230 a failing grade. I plan to send ours back for a refund. 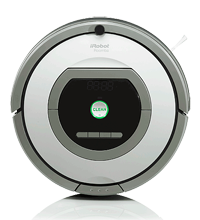 Just in case you’re still curious, here’s a link to the iRobot official page for the Scooba 230. 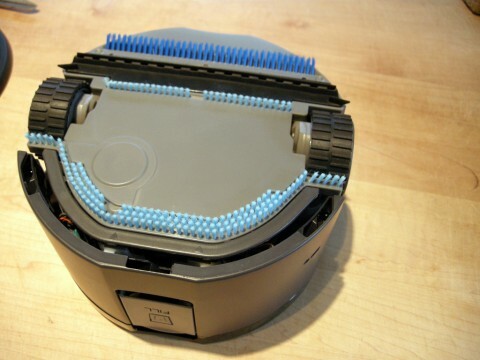 Or buy iRobot Scooba 230 + Essentials Kit Robotic Vacuum from Amazon. Here is a our page with further information about iRobot’s products that aren’t robot vacuum cleaners.